Shake, Stir and Taste. 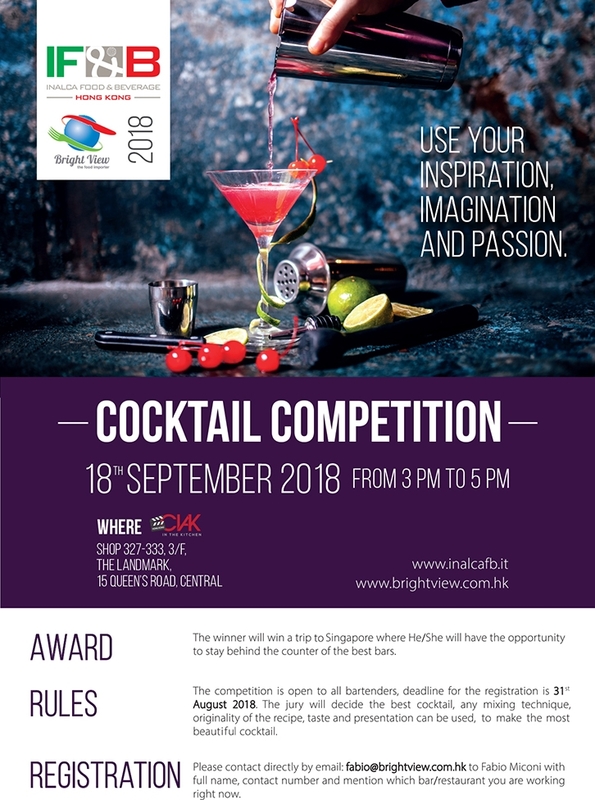 Whether you frequently leave your customers over your mixologist skills or you’re just starting to explore spirits you have the chance to test your bartending skills at our cocktail competition at CIAK-In The Kitchen on September 18. For enquiry & registration, please contact Fabio Miconi by email Fabio@brightview.com.hk or by phone +852 5160 0439.